Who can qualify in PA for a sales tax exemption on utilities? Any company that is a manufacturer or an industrial processor can qualify for a PA sales tax exemption on utilities. A company may submit a utility sales tax exemption certificate for any electricity, natural gas, or water meter that is used in direct production. Once the valid sales tax exemption certificate is received by the utility co., the company’s purchases are PA sales tax exempt. A utility study is required described below. How can one obtain the sales tax exemption on utilities in PA? A company must submit a sales tax exemption certificate, REV-1220s. The certificate must have completed a valid utility study which depicts the exempt percentage claimed on the exemption certificate. The certificate is good for 5 yrs. and can be renewed. Once approved, sales tax immediately is reduced and the savings is reflected on the utility bill. Does the State require that a REV-1220s be completed by a professional utility engineer? A company may submit a sales tax exemption certificate for utilities used in production. However PA recommends that it be completed by an experienced professional. On Your Mark completes and certifies the utility study so there is no concern of a utility co. coming back on its customers for un-billed sales tax. A predominate usage study is required in most states however it is not a requirement for a sales tax exemption on utilities in PA. Basically the predominate usage requires that over 50% of any meter’s consumption, be it KWH, ccf’s, or gallons be used for direct production vs. non-production. However, a utility study is required in PA and is to consist of a list of every pieces of equipment or device using that utility. Each item on the list is to include the annual utility consumption. When the list is separated into the appropriate categories of production use vs. non-production (e.g. lighting, HVAC, office, etc. ), the exempt percentage can be determined. 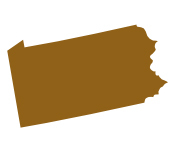 What is the scope of a Professional performing the utility exemption work in PA? Accurate completion of the utility study: The utility study is laborious and takes a lot of someone’s time. Most companies choose to avoid this by using a professional. Claim for refund: In PA, exempt utility meters can qualify for a refund for sales tax paid in prior periods to the extent of the 36 month statute of limitations. Benefits of the sales tax exemption on utilities: Typically a 5-8% savings is obtained once the PA sales tax exemption is approved, and the sales tax is immediately reduced or removed from the bill .